Love birds is an affectionate name for two people head over heels in love. The people that just can't stop laughing with each other, can't stop thinking about each other, constantly holding hands and when they're together nothing else in this world matters because they have each other. 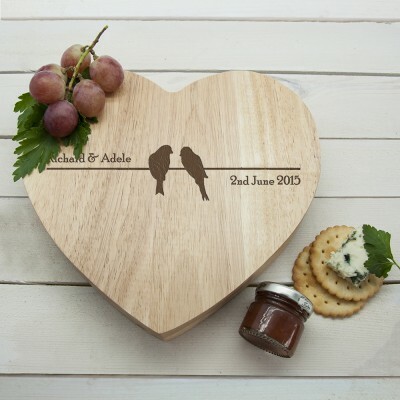 We have created a romantic board using the Lovebirds sitting on a wire you are able to personalise it with names and a special date.